First, thanks to the producers of the Connecticut Renaissance Faire for hosting me again as their guest author last weekend. It was another great time and I’m already looking forward to next year. In the meantime, go check out some of the other authors who will be there during the next three weekends of the run. Well Behaved Women: I’m at 64,000 words and I’m into the climax. Not sure if I’ll wrap up draft one this week but I’m going to make the effort. The Adventures of Strongarm & Lightfoot – Blades of Glory: In case you missed it, here is the awesome new cover art for book three! If you like it, you can jump over to artist Tricia Lupien’s Redbubble store and get it on a variety of merchandise — and you’d be supporting an independent artist! 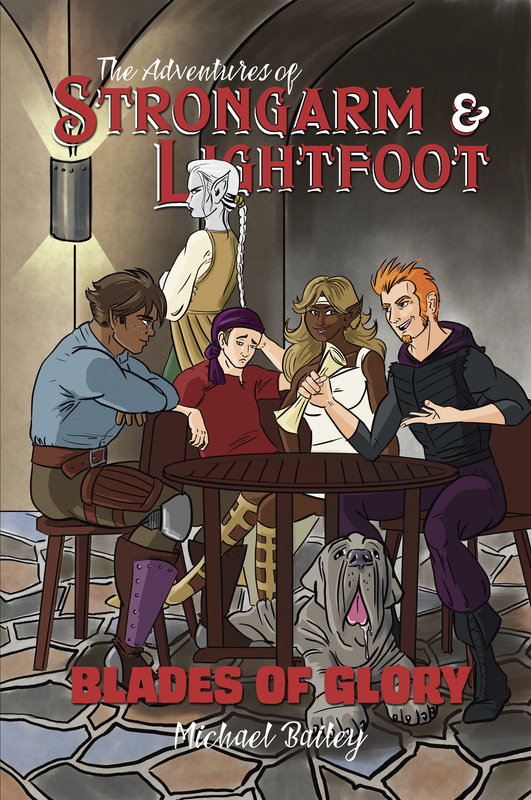 The Adventures of Strongarm & Lightfoot – book four: The first few chapters are written! 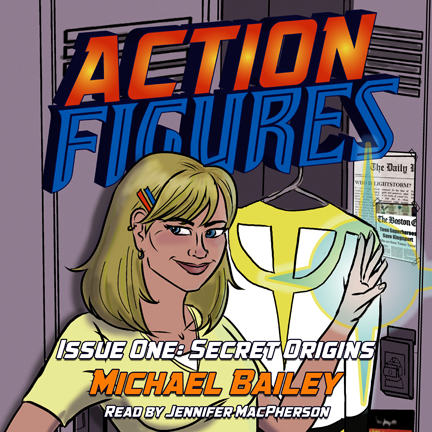 Action Figures – Issue One: Secret Origins (audiobook): I’ve reviewed about three-quarters of the book and sent back my notes. I probably won’t get much done on this this week because of work but I hope to finish up the review process by the end of next week. In the meantime, check out the product art for the audiobook — which, you might notice, is an adapted version of the Secret Origins novel cover.